A patent is an exclusive right, in that the patentee may exclude others from exploiting his invention without permission. However, if two patents exist on the same invention, there will be conflict between these patents such that none can be effectively implemented. Hence, Rule 13(1) of the Rules for the Implementation of the Patent Law provides that only one patent may be issued for a single invention. This is referred to as the doctrine of double patenting. Yet, in practice, there exist two entirely different views as to the understanding of this doctrine. One view is that for a single invention, only one patent may be valid at a given time; the other holds that only a single patent may ever be granted to a single invention. This conflict was solved by the Supreme People’s Court recent decision in the case of Shu Xuezhang (Shu) and the Patent Reexamination Board (PRB) v. Jining Pressureless Boiler Factory (Jining), which is a patent invalidation case involving Patent, No. 92106401.2, issued to Shu, of filing date February 22, 1992, titled A HIGH-EFFICIENCY AND ENERGY-SAVING DOUBLE-GRATE COUNTER HEATING BOILER. The patent was issued on August 14, 1999 [sic], and published on October 13, 1999 [sic]. Jining filed a request to invalidate the patent on this invention with the PRB on December 22, 2000, on the grounds that this invention patent failed to comply with the provisions of Rule 13, on the reference of a utility model patent No.CN2097376U published on February 26, 1992, under serial number No.91211222.0., also issued to Shu, with a filing date of February 7, 1991, an issuance date of June 17, 1992, and publication date of September 30, 1992. Before the utility model patent was to expire on February 8, 1999, Shu applied to renew the utility model patent. The patent right was expired on February 8, 1999. (Under the old patent law, the term of the protection for utility model patents was five years and the renewable for three additional years.) The PRB found that the utility model patent No. 91211222.0 had expired when patent No.92106401.2 was issued to Shu, and no duplicate right existed on both the utility model patent and the present patent. Therefore, the alleged violation of Rule 13 was unfounded, and the request of invalidation is denied. Dissatisfied with the PRB’s decision, Jining brought an action before the Beijing No.1 Intermediate People’s Court. The court then reaffirmed the Board’s decision. Still not satisfied with the trial judgment, Jining appealed to the Beijing High People’s Court. The High Court held that upon expiration of Shu’s utility model patent on February 8, 1999, the patent technology entered into public domain. The subsequent invention patent was directed to the same subject matter as the previous utility model patent and when it was issued on October 13, 1999 effectively reclaimed what has been given to the public, in violation of the double patenting doctrine. For this reason, the Beijing High People’s Court reversed the judgment of the court below and the PRB decision. Shu and the PRB both were dissatisfied with the Beijing High Court’s decision, and separately petitioned the Supreme People’s Court for review. The Court decided that double patenting, in patent sense, means that for a single invention, there can be no coexistence of two or more patents, both valid at the same time; it does not mean that a single invention may be patented only once. For this reason, the Supreme People’s Court set aside the judgment made by the Beijing High People’s Court and affirmed the judgment of the Beijing No.1 Intermediate People’s Court and the PRB decision. From the time when Jining requested invalidation with the PRB in December 2002, till August 2008 when the Supreme People’s Court handed down the final decision, nearly eight years passed. During this period, double patenting remained a hot topic among the scholars and legal practitioners of the patent realm, which according to the basic principles of the patent law, should have been a simple issue. The judgment of the Supreme People’s Court put a long overdue end to this controversy, which should never have occurred. 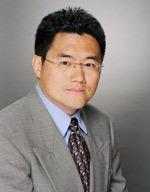 Li Deshan is a patent agent from Unitalen Attorneys at Law.